On Thursday, the advisory committee cited lack of diversity in subjects taught at madrasas and advocated applicability of the Act to those religious schools. HYDERABAD: A day after the National Advisory Committee (NAC) on the Right to Education (RTE) Act had recommended to the Central government that religious minority institutions such as madrasas be brought under the ambit of the law, heads of religious institutions from the city opposed the move, saying that it would infringe on their independence. Speaking to Express, All India Muslim Personal Law Board secretary Khalid Saifullah Rahmani said, “It is an attack on the sovereignty of madrasas. If it is brought under RTE, the government will interfere in their working. On Thursday, the advisory committee cited lack of diversity in subjects taught at madrasas and advocated applicability of the Act to those religious schools. 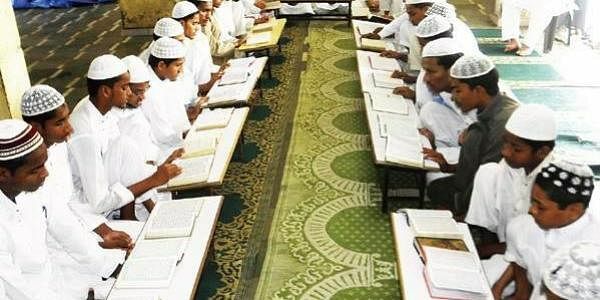 “The irony is that while missionary schools follow fundamental syllabi like normal schools and have become elitist, madrasas are just imparting religious education,” a member said. It is not just minority organisations but madrasa managements also fear that the right of children to free and compulsory education under the Act will end their autonomy. In a conversation with Express, Mufti Mohammed Hassan Uddin, director of Jamiat ul Mominat madrasa in the city, said, “We follow the state government’s syllabus and also teach subjects like science and mathematics.” However, Jameela Nishat, chief functionary of Shaheen’s Women Resource and Welfare Organisation, held a different view, saying, “Madrasas should be brought under the RTE Act. Most madrasas in the country teach only Islamic studies.